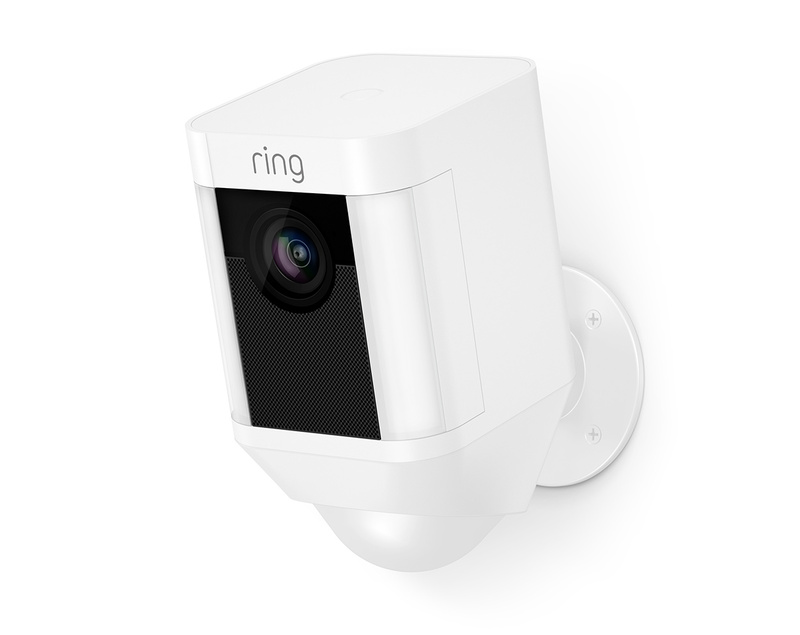 With Ring Security Cameras you can watch over your property from anywhere. HD video and two-way talk technology let you see, hear and speak to anyone on your property from your smartphone, tablet and desktop. 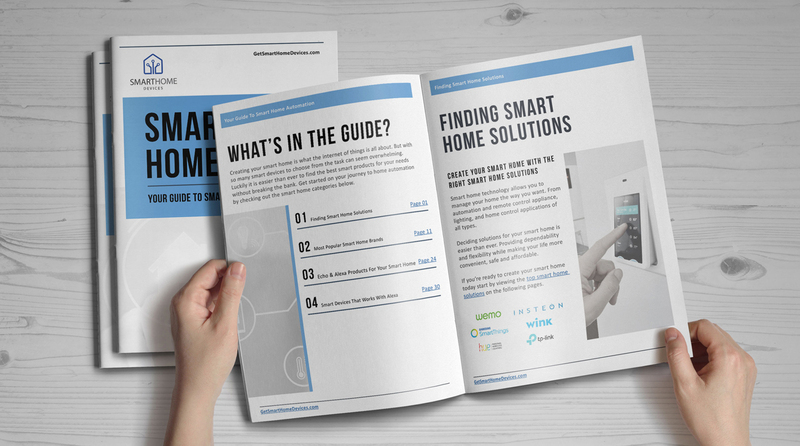 And with motion-activated alerts, weather-proof construction and infrared night vision, you can monitor your home around-the-clock—day or night, rain or shine. 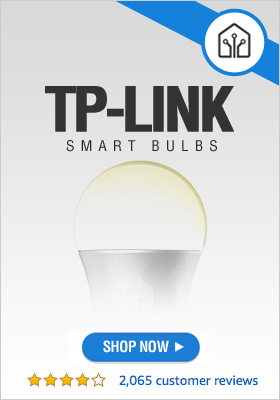 Protect your home with the world’s only motion-activated security camera with built-in floodlights, a siren alarm andt wo-way audio, so you can see, hear and speak to anyone on your property from anywhere. 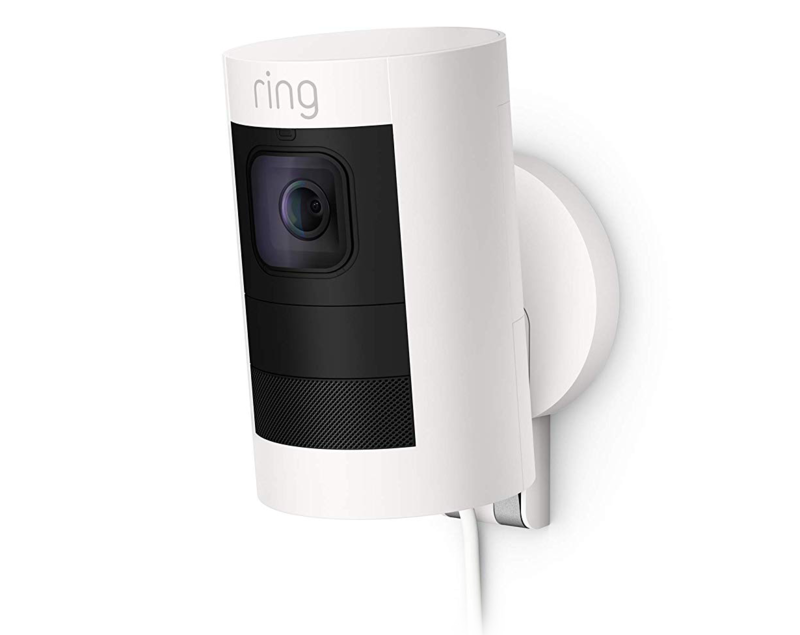 Protect and monitor your home with Spotlight Cam Wired, a plugged-in HD security camera that lets you see, hear and speak to anyone on your property from your phone, tablet and PC. HD camera with two-way talk and spotlights, plugged-in for non-stop power and security. 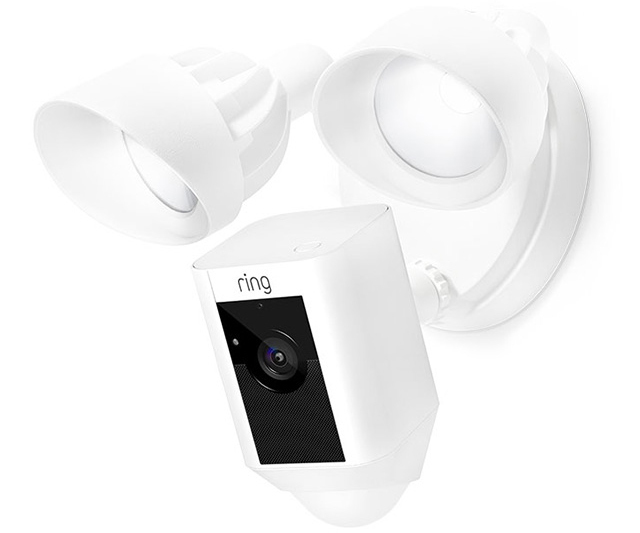 Battery-powered HD camera with two-way talk and spotlights, for security anywhere you need it. 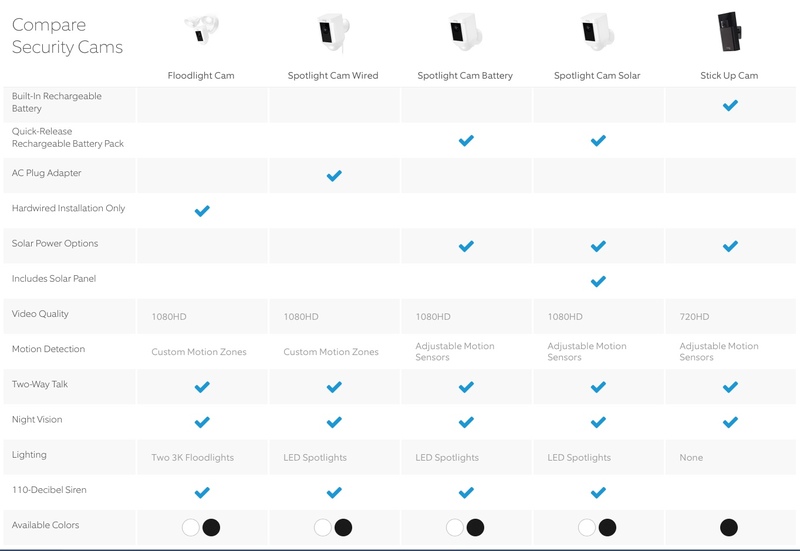 Protect every corner of your home with Spotlight Cam Battery, a versatile wire-free HD security camera that lets you see, hear and speak to anyone on your property from your phone, tablet and PC. 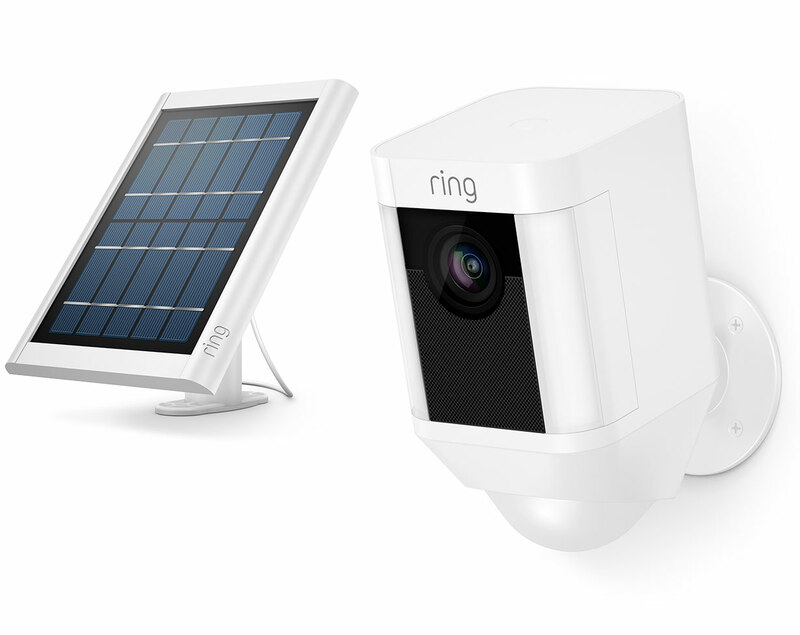 HD camera with two-way talk and spotlights, connected to a Solar Panel for non-stop power. You only need a few hours of sunlight everyday to keep your Cam charged around the clock. And it also comes with a rechargeable battery pack, so you’ll always have backup power just in case. Stick Up Cam sends instant alerts to your smartphone, tablet and PC whenever motion is detected. 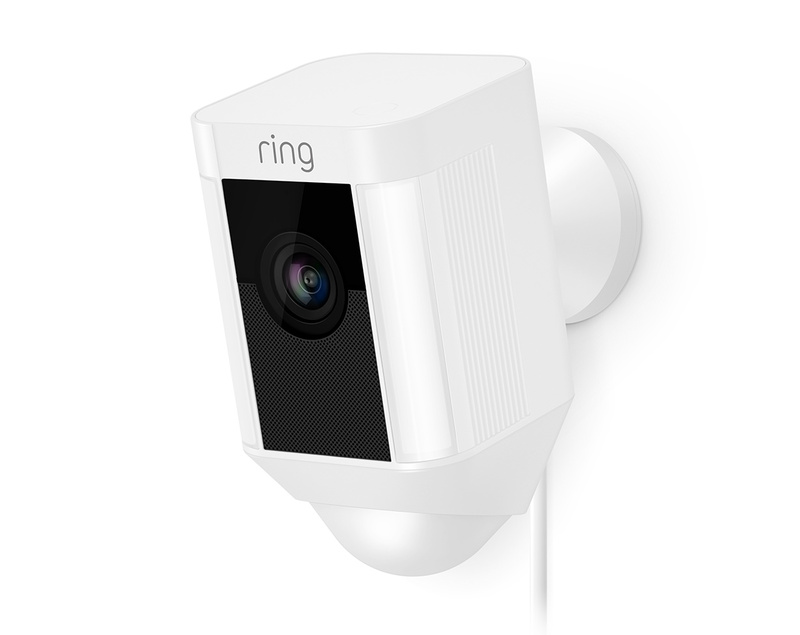 And with the free Ring app, you can see, hear and speak to anyone on your property from anywhere.